The Key Lock Safety Belt by Posey reduces the chance of injury for patients at risk to fall. It is recommended for patients who require a restraint to assist medical treatment. 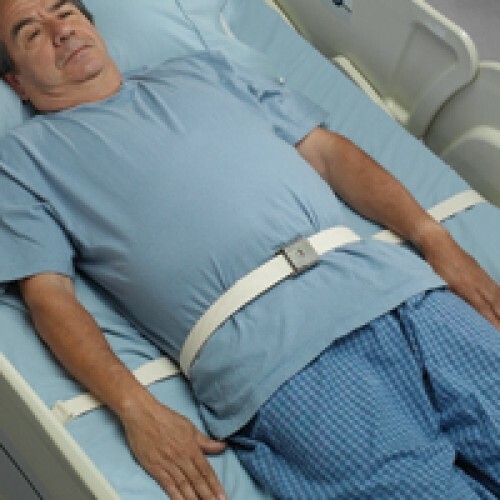 In addition to providing patient restraint, this Posey Safety Belt can also be used to position patients in bed. It includes a padded back pad that helps to position the belt and secure it to the patient. Patients still have the ability to sit up or even move side to side while wearing the device. This Locking Restraint uses the Posey Universal Cuff and Belt Key to lock an unlock. Two keys are included with the purchase of the belt. See belt dimensions and sizing information below. Back Pad Waist Size: 24 in. - 56 in.